During FY2018, which ended on September 30, Laredo Sector agents apprehended 668 Bangladeshi migrants — up nearly 270 percent over the previous year’s total. 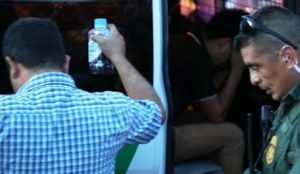 The sector led the nation in the apprehension of these migrants who paid up to $27,000 each to be moved into the U.S. by cartel-connected human smugglers…. EDITORS NOTE: This column with images is republished with permission. The featured photo is by Glen Carrie on Unsplash. These are the few we know about. What about the ones that are made it to their destination without incident?